Constantine: Easter Eggs and DC Comics References In "A Whole World Out There"
Could Super Bowl Outcome Be Influenced By Biological Clocks? New 'Age of Ultron' TV spot is more of the same...wait, is that Grey Hulk? Thor: Ragnarok Doesn't Have A Script Yet, But Chris Hemsworth Thinks It'll Be "Big"
Is the Winter Soldier the heart of Agent Carter’s mystery? On this Podcast: We have a tribute to The Wizard of Oz & feature something rare, we talk about Judy Garland, Old Time Radio, Jacksonville, Florida Pop Culture Collectible Show. We will be at this fun event and recording an episode for The Riley and Kimmy Show from there. Post by Daytona Beach Comic Book Convention. Post by Frame of Mind. The Flash: "The Sound and the Fury" review, it's time to pay the Piper! The Flash: Easter Eggs and DC Comics References in "The Sound and the Fury"
The Flash: What Is the Speed Force? Could Mark Hamill Suit Up In His Old Trickster Costume On The Flash? 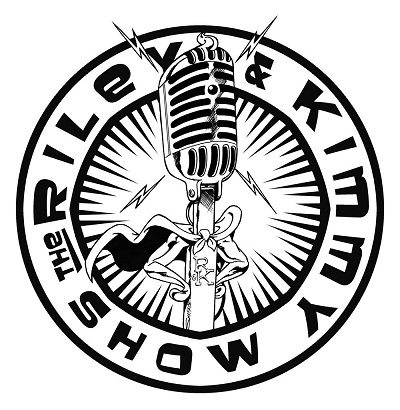 On this Episode of The Riley and Kimmy Show we talk about: Renningers Mount Dora Florida Steampunk Event, Phantasmagoria Orlando, Cosplay, Jacksonville Retrorama Pop Culture The Walking Dead event we will be at. 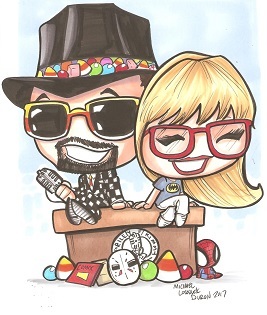 On this podcast we talk about: Deland, Florida Mardi gras Dog Parade, The Walking Dead, Jacksonville Collectible Show, Orson Welles, Lucille Ball & Old Time Radio Comedy. Post by Suzy Cohen Healthy Lifestyle. Arrow: Easter Eggs and DC Comics References In "Left Behind"
Stopped by to see my friends at Smash #comics and #games in #Sanford #florida and added #theguardiansofthegalaxy Dancing #groot #popvinyl figure to the #collection. Post by NAIDW - National Association of Injured & Disabled Workers. ‘The Walking Dead’ Trailer: Beyond Fear, Can the Survivors Find Hope? The Walking Dead: Could Dr. Jenner Return in the Spinoff? Happy Birthday! Evan Peters Turns 28 Years Old Today! Gotham: Easter Eggs and DC Comics References In "What The Little Bird Told Him"
Celebrities march in honor of Martin Luther King Jr.
On this Episode of The Riley and Kimmy Show we talk about: The Walking Dead, Lew Temple, Jacksonville Florida Retrorama Pop Culture Collectible Show, Experiment in Terror Movie, Twin Peaks, Zodiac Killer, The Most Dangerous Animal of All Book, Ross Martin, The Colossus of New York Movie, X-Files, Constantine, Marvel Comics Werewolf by Night, Artist Mike Ploog, and have a tribute to Dr. Martin Luther King Jr.